Crisna, from Crisna's Olives at Delvera, doesn't only sell olives and olive products. 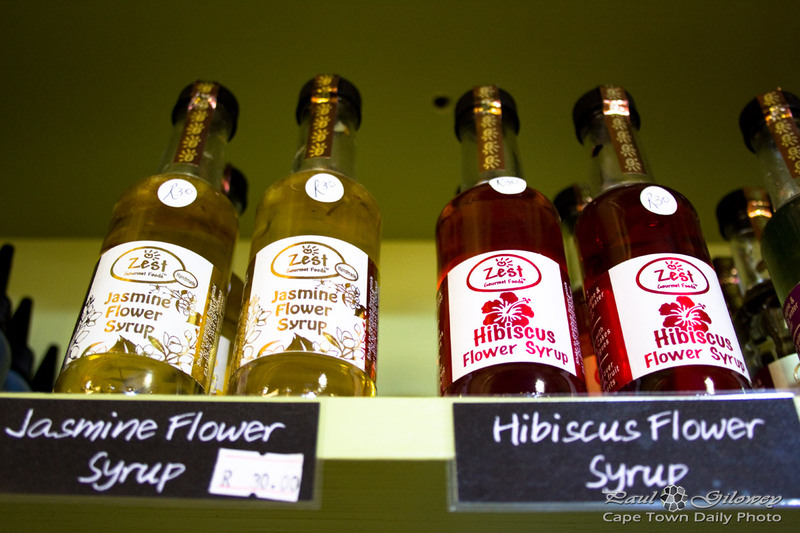 I happened upon these bottles of jasmine and hibiscus flower syrups. Don't they sound divine? In case you can't read the price sticker on the bottles in this photo - at time of writing they cost only R30 for a bottle - which is pretty reasonable, don't you think? Posted in General and tagged delvera, food on Monday, 9 March, 2015 by Paul.